At MFIT we deal with the centre outwards. The abdomen is the centre of movement, it’s where we absorb our energy and where most of our vital organs are located. The number of problems caused by tension in this area is quite astonishing. 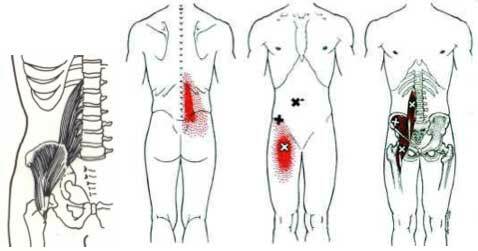 Some common problems are back pain, disc problems, knee-chip pain, digestive problems, sacroiliac pain, fertility and bio-mechanical problems. Michael’s interview on UK Health Radio with Sam Bearfoot – The Digestion Detective. We have identified 28 points which we work with to help the body to relax into its centre so helping to avoid the many dysfunctions that can unfold. Find out more about how MFIT can help you find relief for many common problems. Using new techniques and knowledge on how muscle-fascia work together, along with deep tissue and sports massage, a wide range of problems and aliments can be cleared up quickly. This is because the body’s own energy is allowed to flow more freely. We use advanced MFO fascia release techniques not used by any other therapy thus the effectiveness of the speed of recovery. MFIT can help with many sports injuries such as frozen shoulder, golfers elbow, back or neck pain, knee pain, indigestion/reflux, bio mechanical problems and many more. Contact MFIT to find out how we can help you or to book an appointment.